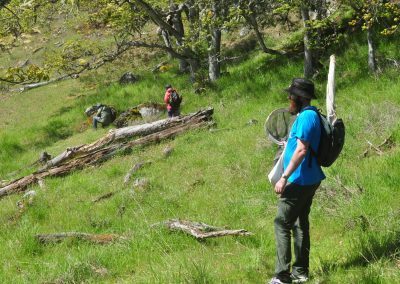 Last May Galiano Island was visited by a couple of bryologists and an entomologist—all in one day! 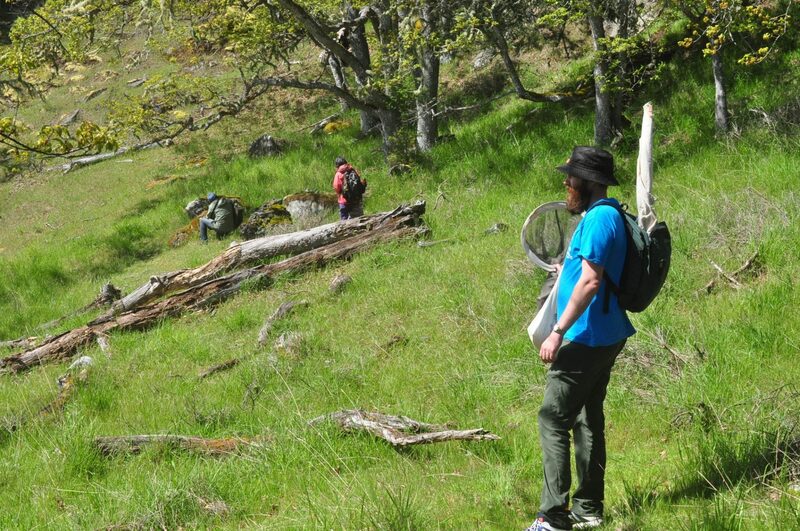 How often do you get serious students of mosses and liverworts together with those who study insects? 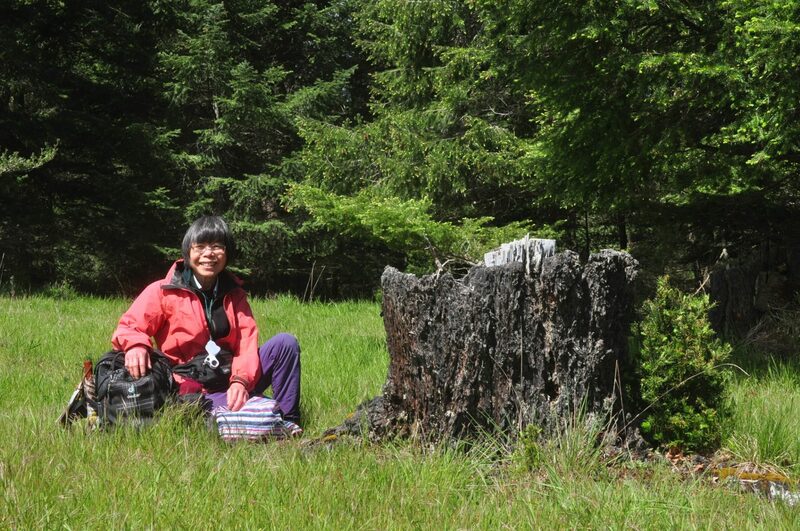 Present on island were bryologists Olivia Lee and Steve Joya from UBC and entomologist Scott Gilmore from Nanaimo. Our gathering happened fortuitously as a lead up to this year’s Bioblitz, which took place on May 27, 2017. Though none of us had planned the occasion, somehow we all got to enjoy each other’s company in the field, on forays to Bluffs Park and Mt. Sutil. Galiano has a reputation for attracting naturalists from far and wide, so perhaps it is no surprise we found ourselves together that day, drawn into the island’s verdant midsts. In any case, it was a momentous occasion for all of us. Especially for Olivia Lee, the Collections Manager Of Lichens, Bryophytes, and Fungi at the Beaty Biodiversity Museum. 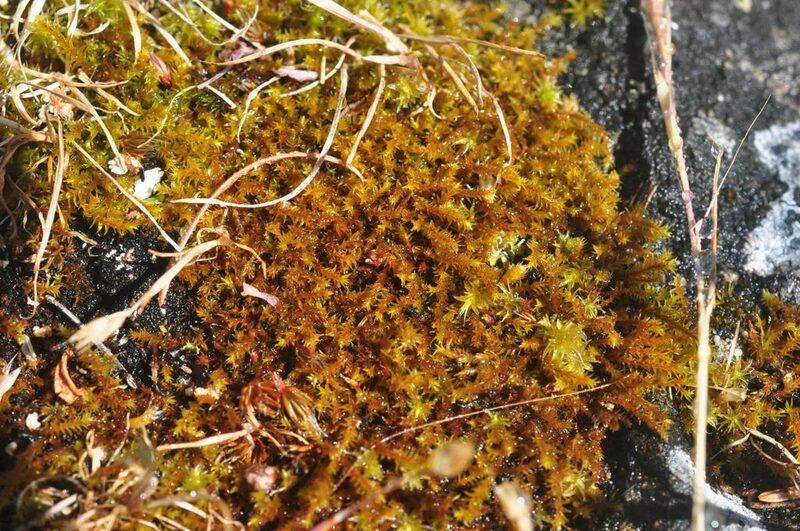 For it was on this visit that she confirmed the locality of a rare moss previously undocumented within Canada. Triquetrella californica is a moss native to California, with a range that extends as far north as central Oregon. Yet here it was on Galiano Island, in a southern exposed rock outcrop community at Bluffs Park. 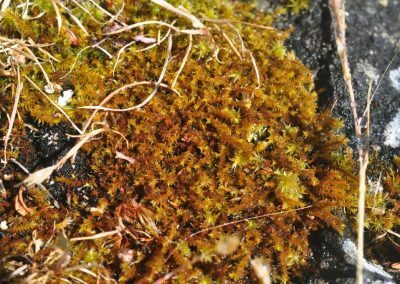 The beautiful red bryophyte has never been seen to bear sporophytes, so, without wind-borne spores to account for its distribution, it is a wonder how it got here. Currently ranked as Critically Imperiled at a global scale (G1), it is surely among the rarest of species to be found in the southern Gulf Islands. 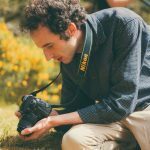 The Beaty Biodiversity Museum published a blog on the event (and subsequent bioblitz), which you can read here. Our foray brought us to the summit of Mount Sutil, where there were many more interesting species to be found among Garry oak woodlands and rock outcrop communities: Olivia scouring rock outcrops in hopes of finding more Triquetrella; Scott shaking down insects from oak foliage; and Steve and myself poking around looking for some of the more recently described mosses known to occur on the coast. 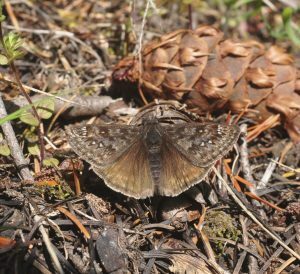 Later that afternoon, this improbable party of ours was graced by the appearance of Erynnis propertius: the Propertius duskywing, a butterfly which flies only in association with Garry oak woodlands. 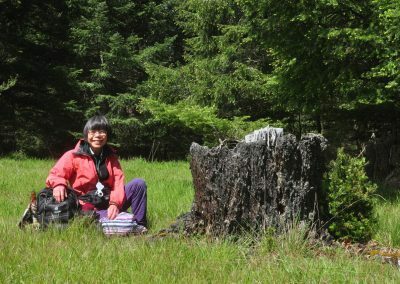 What a rare occasion this was indeed, for these woodland habitats are as precious as any within Canada, covering a very sparse area within the Coastal Douglas-fir Biogeoclimatic Zone of British Columbia. Olivia Lee, Collections Manager Of Lichens, Bryophytes, and Fungi at the Beaty Biodiversity Museum.